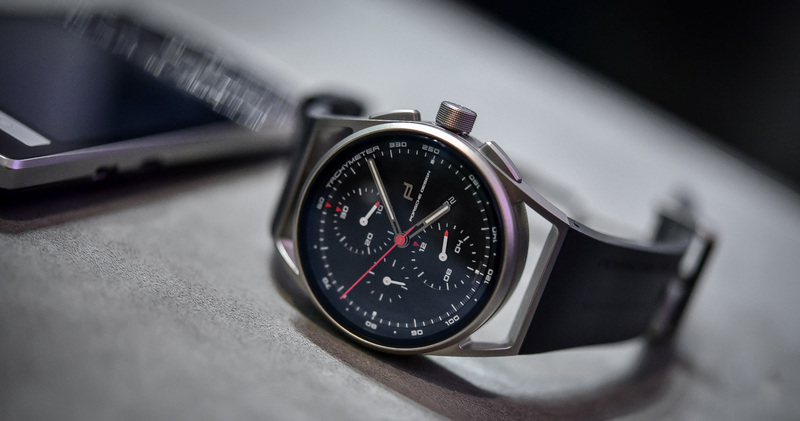 Porsche Design's take on the traveller's watch - functionality and performance! “If you analyze the function of an object, its form often becomes obvious,” was the credo of Professor Ferdinand Alexander Porsche (founder of Porsche Design). 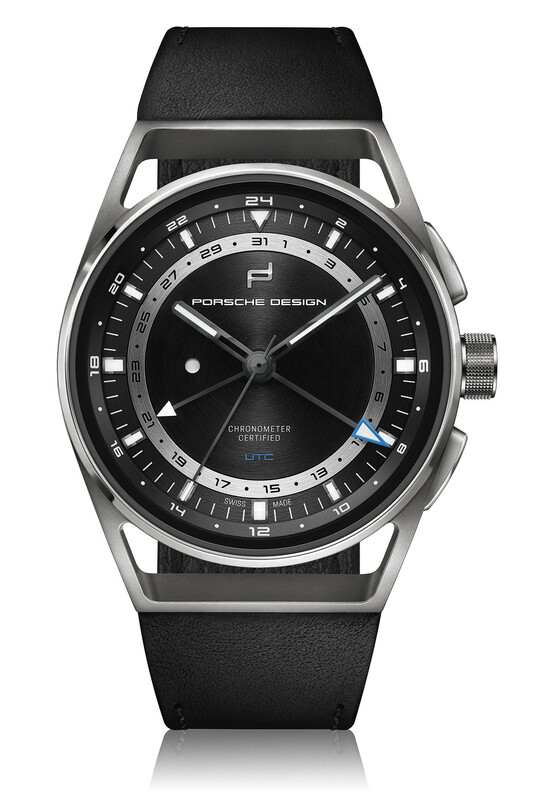 “Form follows function” is something we often hear in the watch world but with Porsche Design, it is a matter of fact. Apparently simple yet perfectly functional, this has become even truer with the brand’s latest addition to the iconic 1919 range. 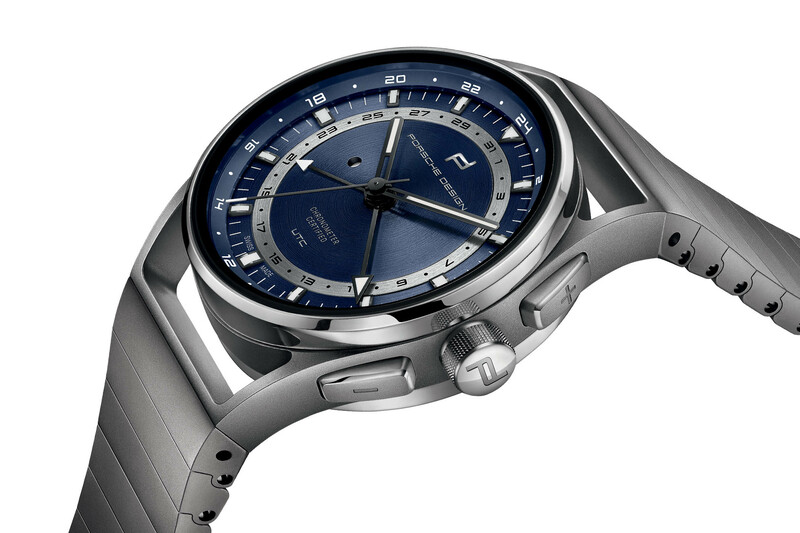 Meet the Porsche Design 1919 Globetimer UTC, a functional, super-practical, well-designed traveller’s watch. The basic GMT/dual-time watch usually requires the crown to be pulled (or unscrewed) to set local time when you land in a new time zone. Some do it quite well, like the Rolex/Tudor GMT watches, as the local time is fast-adjusted by one-hour increments. On a standard ETA/Sellita movement, it’s the home time that is changed, meaning that several steps are required (pulling the crown, adjusting the local time, then putting the crown back and adjusting the home time… fiddly). Some brands, however, have decided to approach things from a different angle, at least on the functionality side. 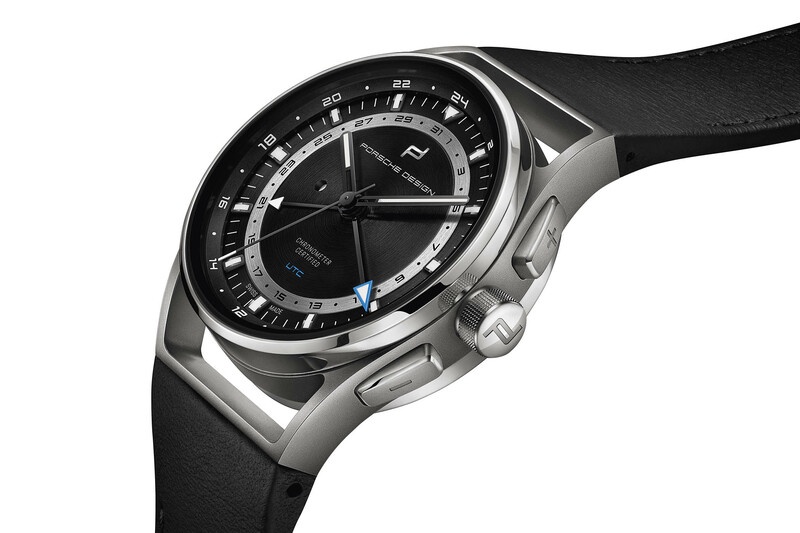 The new Porsche Design 1919 Globetimer UTC is just about that offering an easy, fast and intuitive adjustment of the local time when landing. By simply pushing a button (no need to pull the crown out) the local time is set. Personally, I’d vote that this should be the only way to conceive a GMT watch… Period! Back to the watch itself. 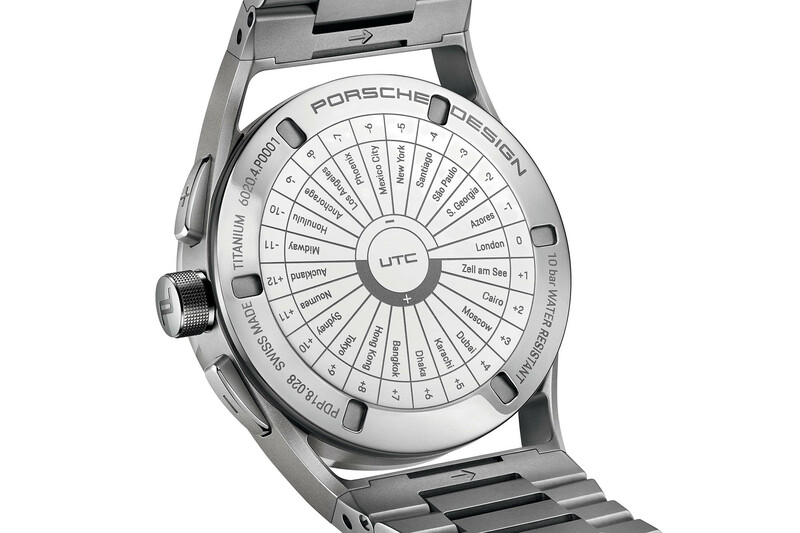 The 1919 Globetimer UTC retains the famed design concept behind most of the objects created by Porsche Design. A simple and clean design, guided by comfort, functionality, and ergonomics. Yet, simple doesn’t mean unattractive. Far from that. The 1919 collection has been around for some years now and despite its clean looks, it is immediately recognizable thanks to its perfectly cylindrical central container and the signature hollowed lug module. The case still measures 42mm in diameter and really hugs the wrist when worn. 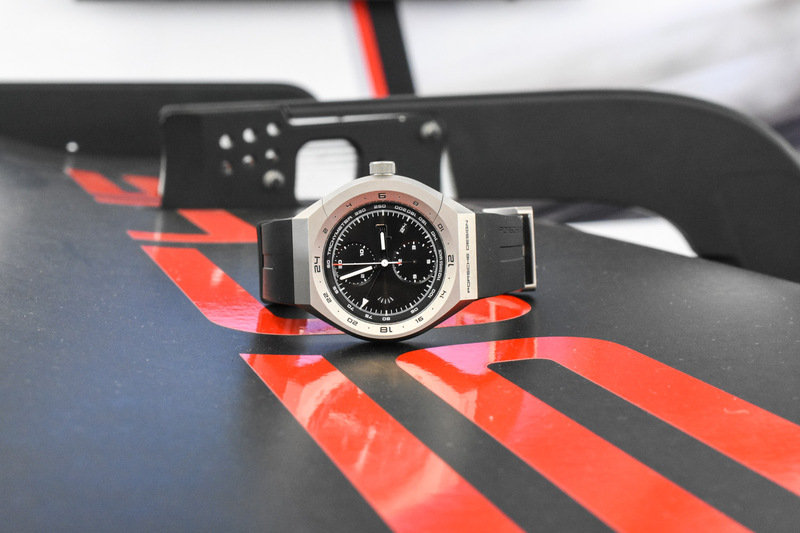 As often with Porsche Design, titanium has been used for the case of three of the four editions introduced at Baselworld 2019. For the fourth model, the brand has added an unusual solid rose gold piece to the collection. Following its usual industrial inspiration, the case is, on all models, mostly glass bead-blasted with discreet polished accents. 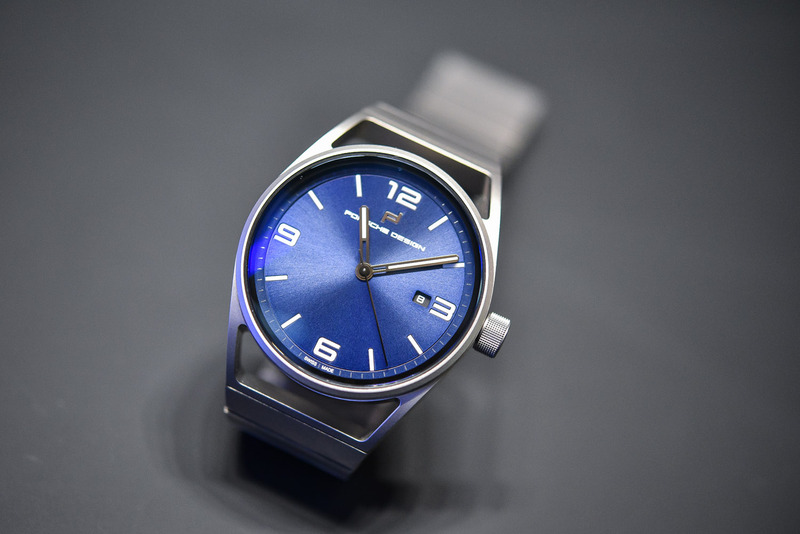 The titanium caseback is engraved with the 24 main cities and time zones. As for the dial, legibility was one of the key factors when designing the watch. Its opening is as large as possible (almost no bezel) and the indications are all marked on well-differentiated sectors. 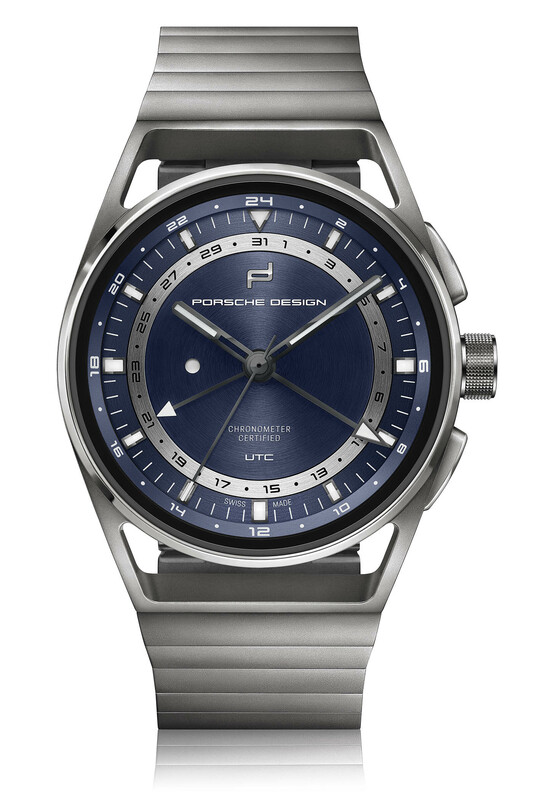 The dial colour of the Porsche Design 1919 Globetimer UTC depends on the chosen edition: blue for the titanium on titanium bracelet model, black or brown for the titanium on leather version, and black for the gold on leather edition. A traveller’s watch is first and foremost a tool to simplify your life. 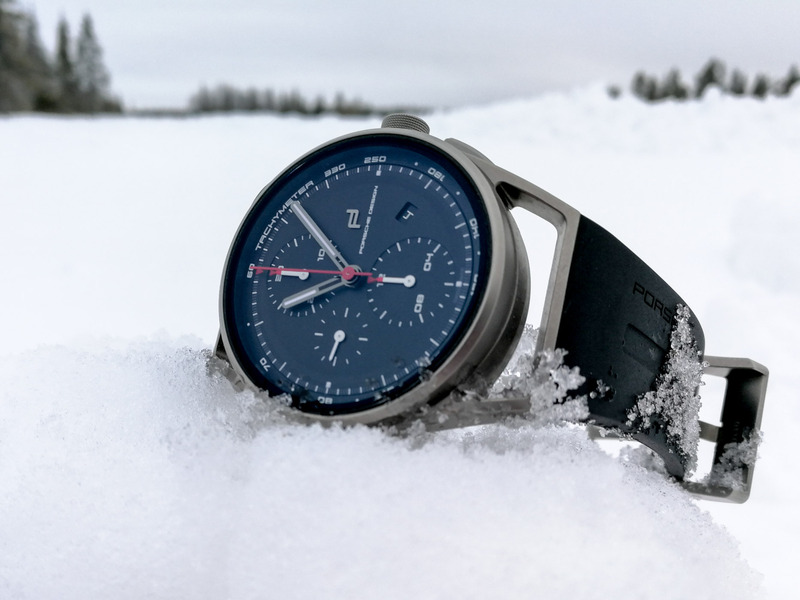 Thus, it makes sense to equip GMT watches with the most practical features possible. 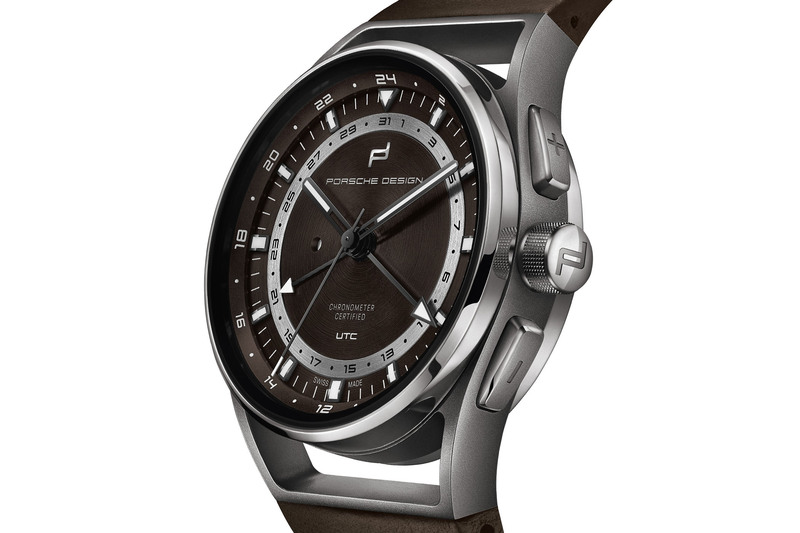 For its new 1919 Globetimer UTC, Porsche Design has created a system that allows setting the local time conveniently by the ergonomically-shaped, optimally positioned pusher. When flying east, each press of the “+” button advances the second time zone by an interval of one hour. When flying west, pressing the “–” button causes the UTC hands to move in the opposite direction. All the while, the UTC hands move automatically, remaining in synchrony. Linked to this is a day/night indicator – a white dot appears in the aperture during the daytime hours but changes to black at night. Finally, it also includes the reference time, for which a second and clearly distinguishable hour hand with a distinctive luminous tip is responsible. This hand turns once every twenty-four hours. There is no need to unscrew the crown or sense its first detent position for the independent adjustment of the local time hour hand. Powering the Porsche Design 1919 Globetimer UTC is the new calibre Werk 04.110. Based on the Sellita Caliber SW 200, the movement has undergone serious modifications (for instance, a ball-borne, bidirectional winding rotor). 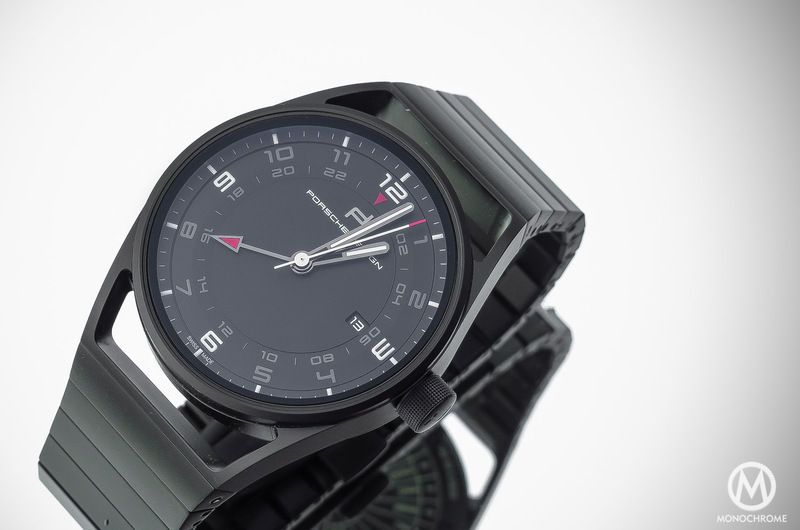 On top of the base movement is a time-zone mechanism specially developed for Porsche Design by Dubois-Depraz. Such a time-zone mechanism, utilizing a push-button mechanism, was not available on the market and had to be created (only brands like Patek or Ulysse Nardin have this in their collection). Reliability was key in the development and the movements were tested in compliance with the strict criteria of Chronofiable SA (for instance, each push-piece must withstand at least 10,000 switching cycles). The movement is also chronometer-certified by the COSC before being cased. The Porsche Design 1919 Globetimer UTC will be available at all PD retailers and priced at EUR 5,950 (titanium on leather), EUR 6,450 (titanium on titanium) or EUR 29,500 (gold on leather). More details at www.porsche-design.com. Stunning. This is my favourite PD watch in a very long time.